At least 64 academics and former staff of the Denizli-based Pamukkale University have been sentenced to jail sentence of between 18 months and 9 years. Denizli 5th Penal Court held the final hearing as part of an investigation into the Gulen movement’s alleged network within Pamukkale University, on Saturday. 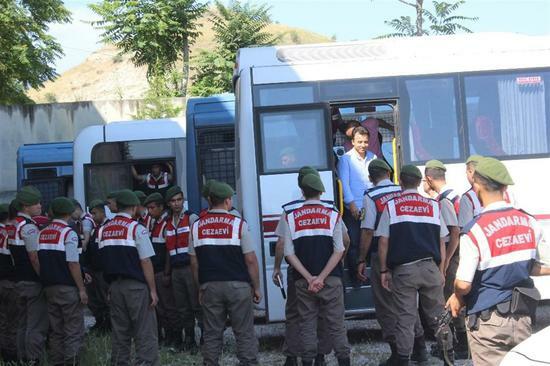 64 out of 115 the suspects were given jail sentence of between 19 months to 8 years plus 9 months, mostly on charges of membership to the Gulen group. Meanwhile, 48 of the suspects were acquitted of the charges with the remaining 3 having their cases separated from the others’. Turkish government accuses the Gulen followers of masterminding the July 15, 2016 failed coup while the latter denies involvement. More than 150,000 people have passed through custody while 80,000 were remanded in pre-trial detention since the summer of 2016. Meanwhile, over 150,000 have lost their jobs since then.